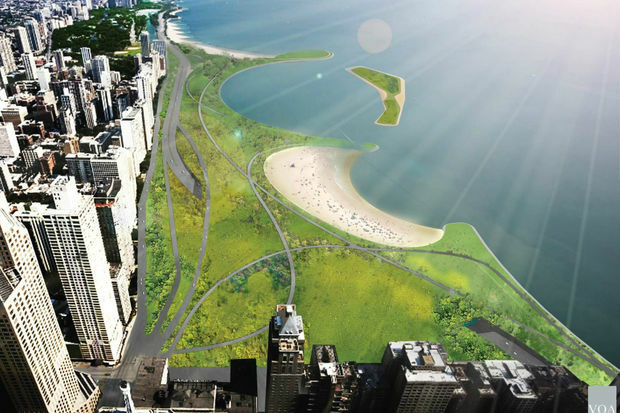 A fresh set of renderings for the transformation of Chicago’s Lake Shore Drive have been revealed. 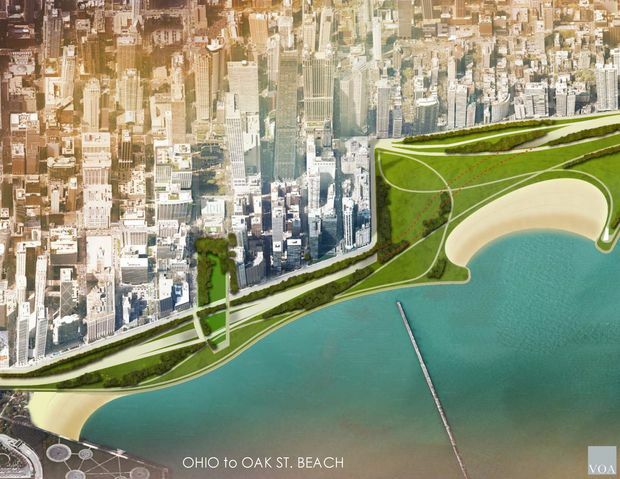 The new plan calls for a 70-acre park extending out into Lake Michigan as well as upgrades to the beaches at Oak Street and Ohio Street. 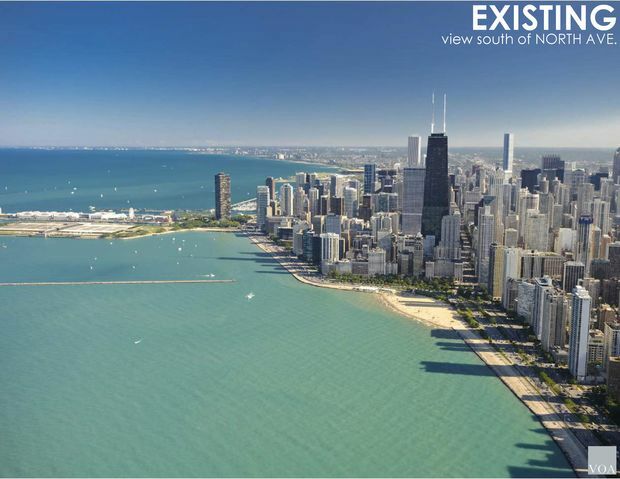 The new proposals have been developed by the state and city departments of transportation, in conjunction with the U.S. Army Corps of Engineers. 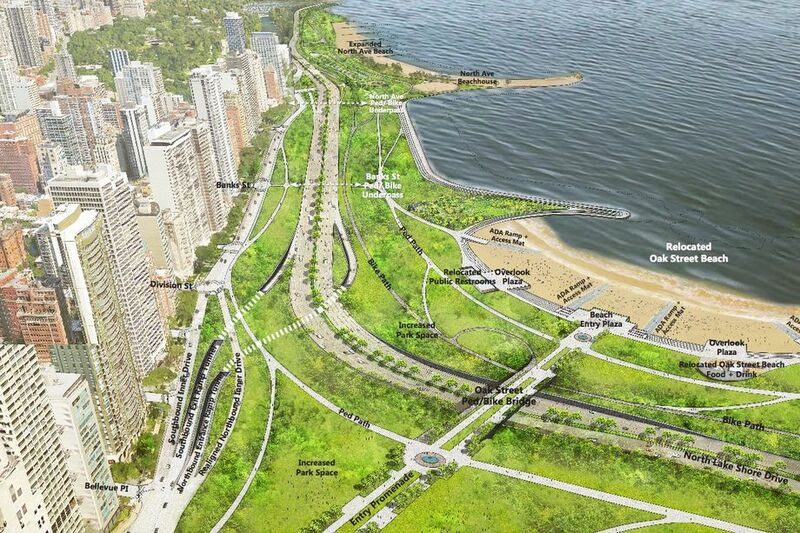 Officials have been wanting to make changes to Lake Shore Drive for many years now. 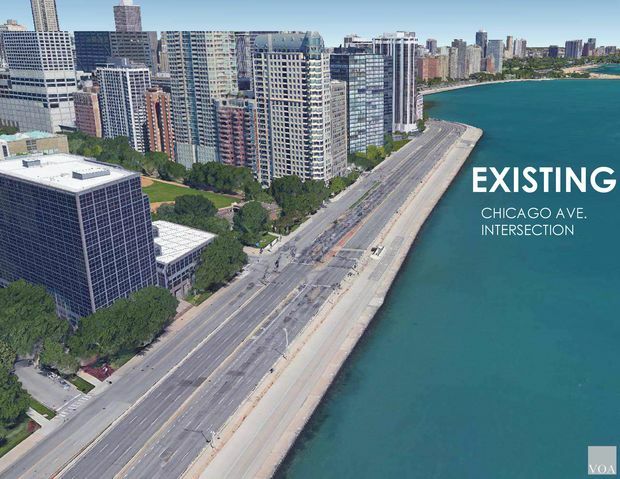 However, they have eliminated some previously proposed, unrealistic improvements – such as bus tunnels under the lake and the construction of a light-rail line alongside the highway – and are focusing on the expansion of Lake Shore Drive. 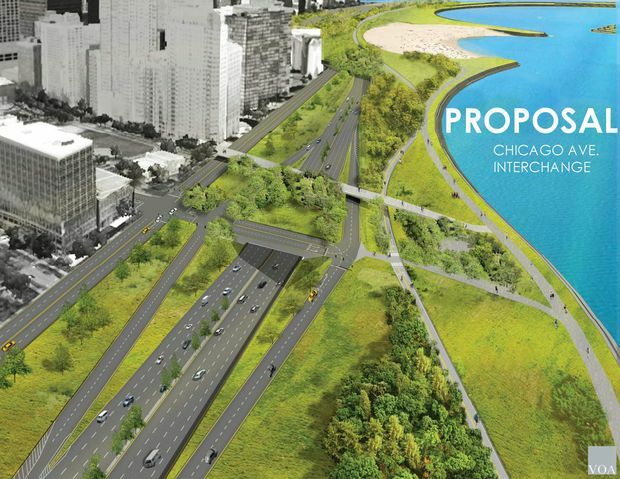 Part of the improvement to Lake Shore Drive includes a reduction to the dangerous Oak Street S-curve, where many crashes and spinouts occur. 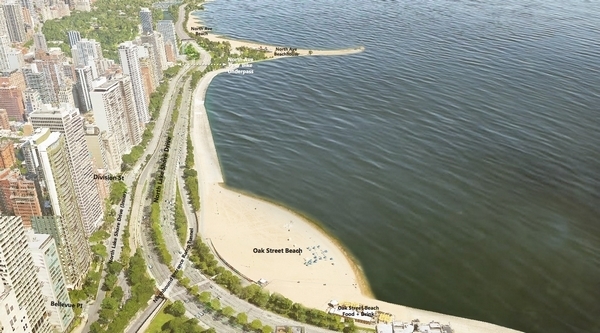 Straightening out the S-curve would require for beaches to be pushed into the lake and buffered with 70 acres of new parkland. 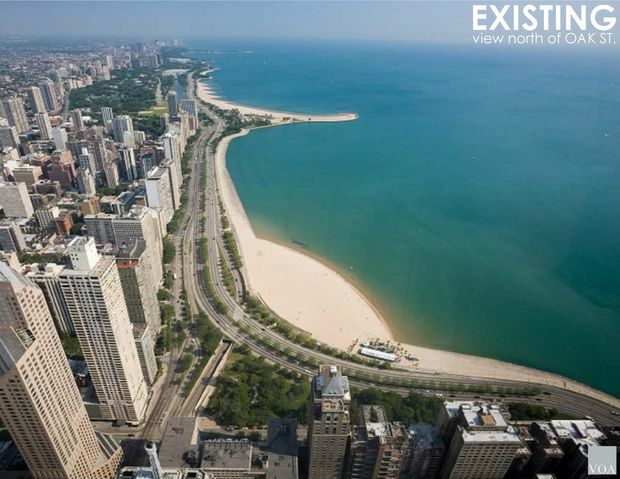 The Chicago Avenue exit off Lake Shore Drive would also be reconfigured in an attempt to get rid of some of the constant build up of traffic. Additionally, the new plan would likely call for reserved lanes of traffic for buses and other high-occupancy vehicles. While how the city plans to pay for the project is still unclear, with the Army Corps of Engineers involved, it could be likely that federal funds may be of help. 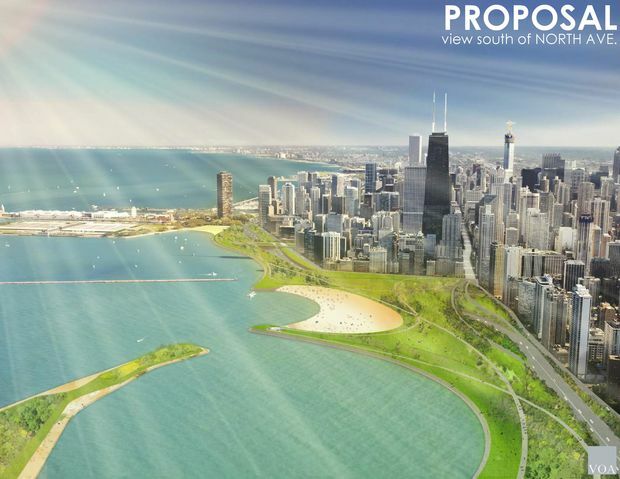 Still, if the plan is approved, construction wouldn’t begin until at least 2020.